Apartment Park is located at the corner of Sarajevska and Nemanjina Streets, on the 5th floor of a building with an elevator. 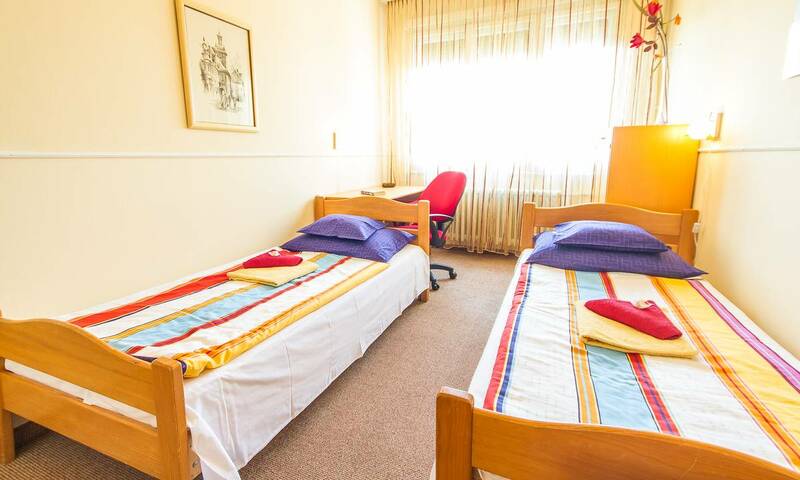 It was named after the Hotel “Park” which is located in its immediate vicinity. 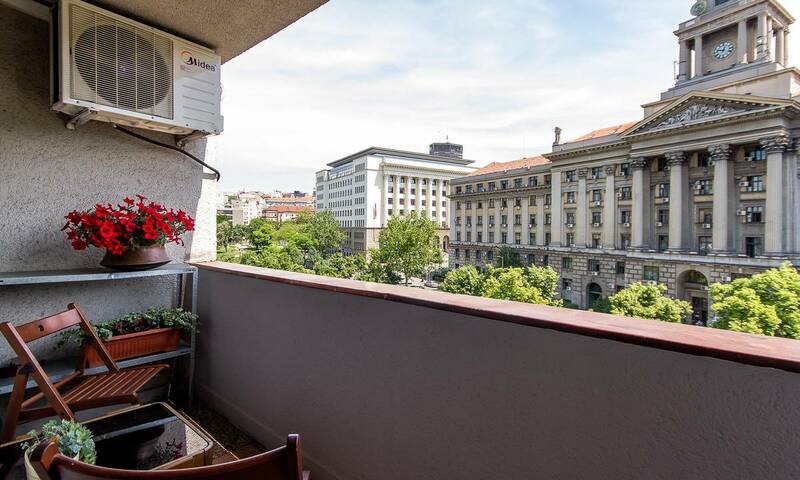 Its biggest advantage is that it is a 10 minutes’ walk from the Belgrade Fair, which is why it is a favorite among those who visit the Fair during bigger events and happenings. 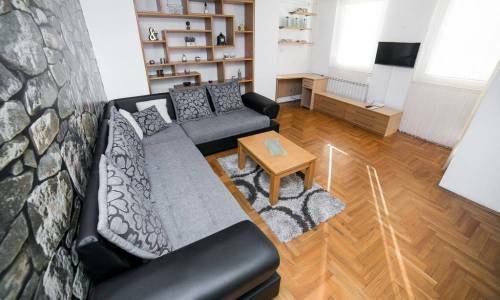 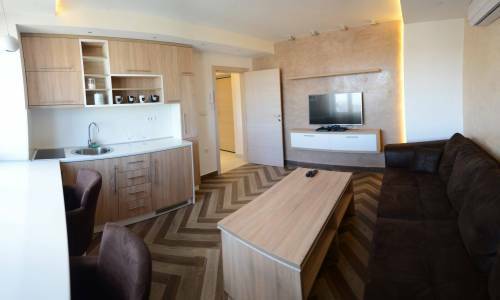 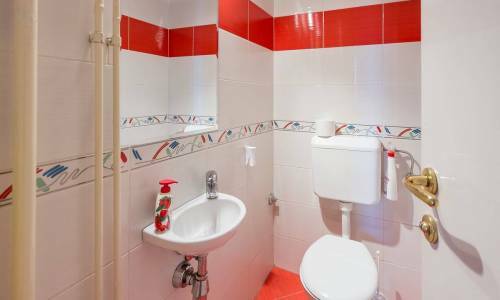 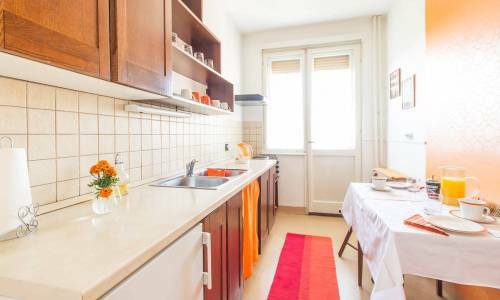 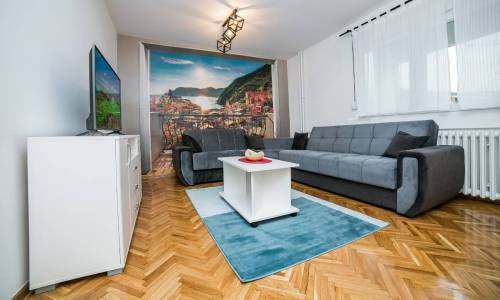 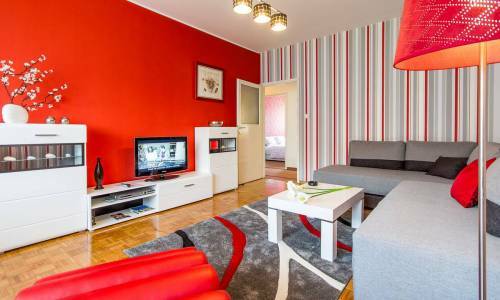 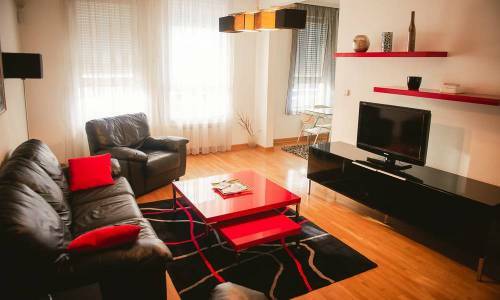 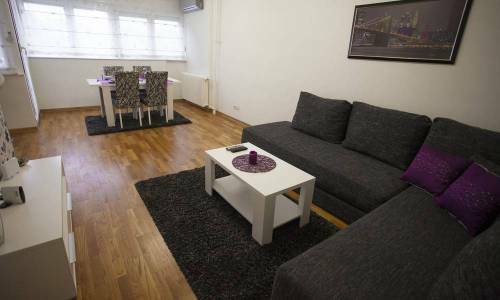 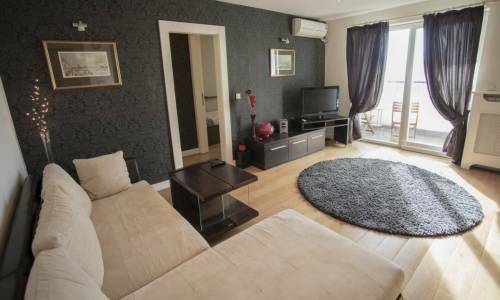 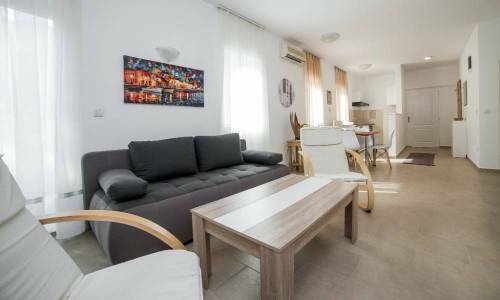 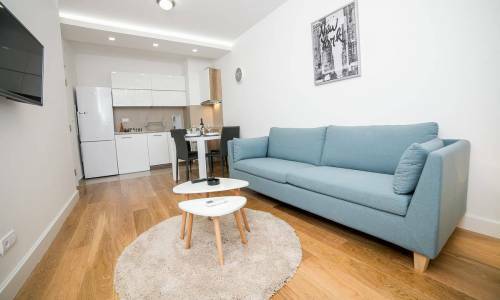 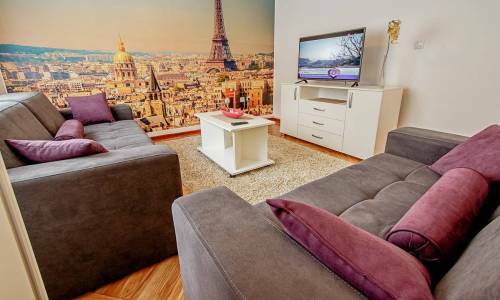 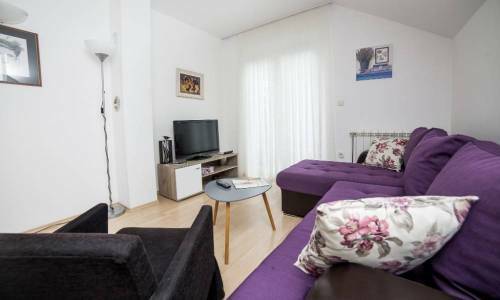 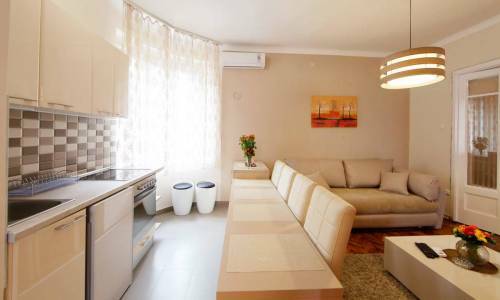 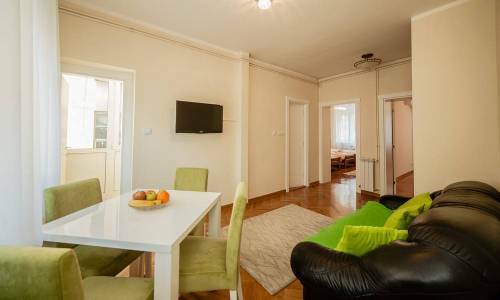 The main train and bus stations, Slavija Square and the Clinical Center of Serbia are within a short walking distance from this apartment. 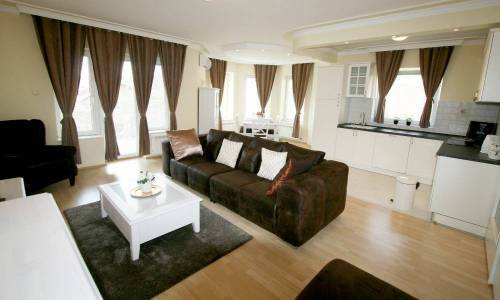 Its structure is that of a two bedroom apartment containing a living room, a kitchen, 2 bedrooms, a toilet, a bathroom and a terrace. 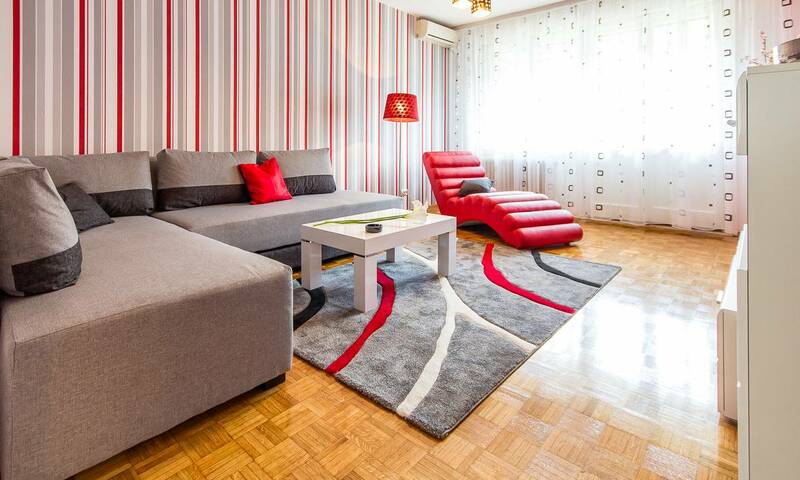 With its 80 m² (861 ft²) it is comfortable for accommodation for up to 6 people. 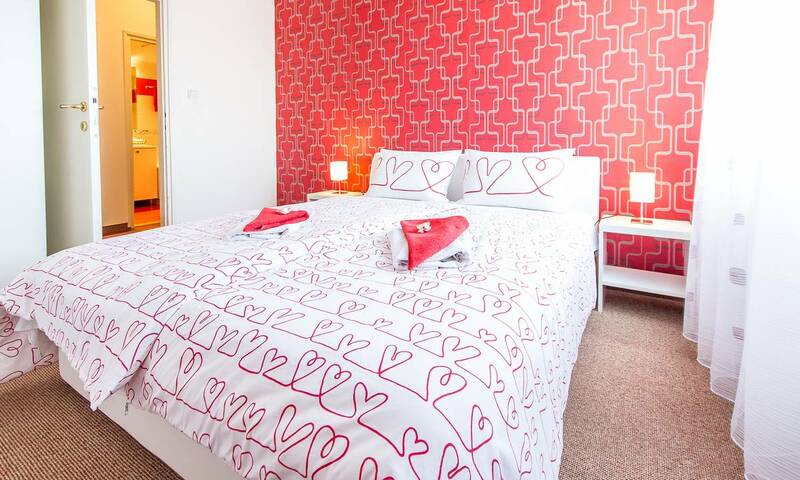 It is fully equipped and suitable for longer family stays. 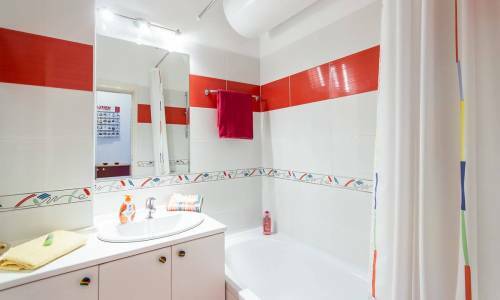 If you arrive by car, we have a free garage.